Laura graduated from Victoria University with a Bachelor of Science (Clinical Science) and Masters of Health Science (Osteopathy). Laura is fully registered with Australian Health Practitioners Regulation Agency (AHPRA) and a member of the Osteopathy Australia (OA). Laura became interested in Osteopathy after being treated for headaches and various sporting injuries throughout her teen years. 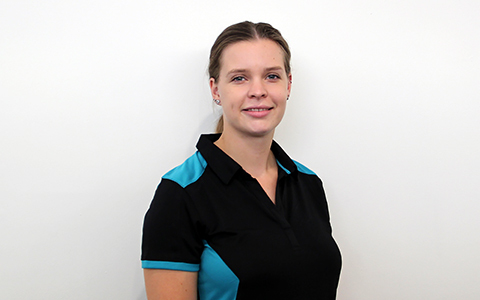 This led her to work with local AFL football and netball clubs gaining valuable hands on experience treating both acute and chronic sporting injuries. Whilst she has been practicing as an Osteopath in Ballarat she has developed an interest in treating jaw pain, an area which isn’t commonly treated by other practitioners. Laura uses a variety of techniques such as manipulation, soft tissue massage and dry needling to not only treat the symptoms but to delve deeper and treat the cause of the pain. Laura has a passion for travelling and staying active. She loves to spend her spare time walking her fur baby Chippy and trying every new café.